That left an indelible impression on Jamie. She told how those words followed her into adulthood. Now, whenever she is cooking, preparing the facilities for the next round of campers, or paying the water bill, she’s encouraged by those words. She isn’t doing some thankless, small, nobody cares kind of task. She’s serving Jesus. Jamie expressed that now it is such a thrill to give back to the campers the gifts she had so taken for granted when she herself was a camper. Her story reminded me about my own encounter with serving Jesus. I spent two weeks at a Bible training center near Vienna, Austria. The mission organization found it was cheaper to ask American volunteers to come to Europe on their own nickel and act as housekeepers and cooks instead of hiring local people to do the job. We got a taste of the organization’s efforts to train Eastern European and central Asian church leaders, the students saw what they thought were proud Americans taking on the biblical role of servants, and we took back exciting stories of God’s work to our home churches. What a win-win. Now, I think there is no food more gross than a jar of slimy pimentos. One day, Sunny asked me to slice pimentos for the hot sandwiches we were preparing for lunch. My inner voice formulated what I wanted to tell her. Sunny, I’ve done everything you’ve asked me to do. I will stay in the dish room the rest of the week. Just don’t make me slice pimentos! Then I remembered: You aren’t slicing pimentos. You aren’t making sandwiches. 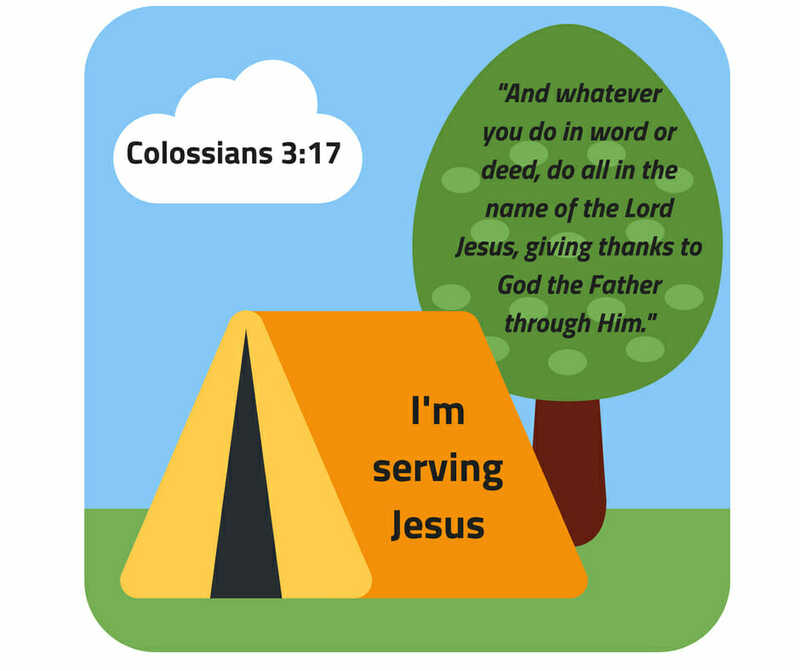 You are serving Jesus. What is God calling you to do this week? Care for an elderly parent? Clean your house for company? Watch your teenager play softball on an extra hot afternoon? Show extra kindness to a beleaguered store clerk? Teach the preschool class at your local church? Weed the worship center’s outside flower bed? Are you dragging your feet? Does it seem unimportant? Does no one seem to care or appreciate your hard work? Remember this: In whatever you do, you are serving Jesus.